1. 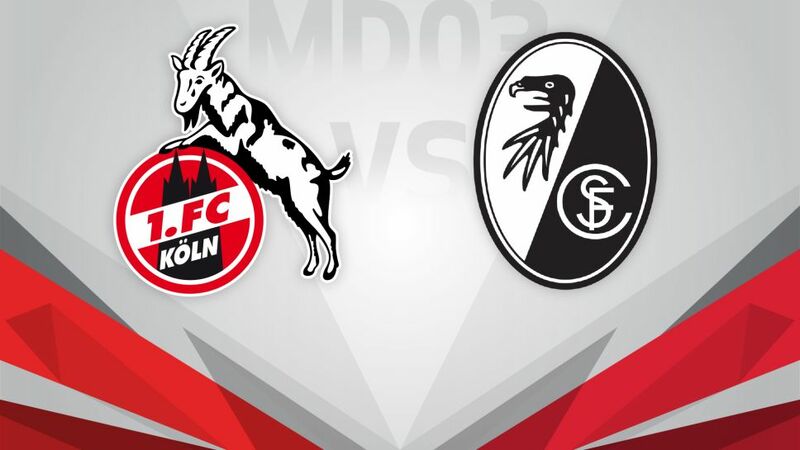 FC Köln will look to keep up their unbeaten start to the new Bundesliga season - and go top of the table for one night at least - as they host promoted SC Freiburg in the opening game of Matchday 3 on Friday (kick-off 20:30 CEST / 18:30 GMT). Profit from Köln's hot streak and sign Jonas Hector for your Official Fantasy Bundesliga team! After their opening-day win over SV Darmstadt 98, Köln held VfL Wolfsburg to a goalless draw at the Volkswagen Arena last time out. Peter Stöger’s side are yet to concede a goal this term and the coach may have a selection dilemma between the sticks as first-choice keeper Timo Horn could make an early return from injury. A victory would see Köln, whose glory years came in the late 1970s, climb to the top of the table overnight. Newly-promoted Freiburg have already shown they are not to be underestimated, though, after coming from behind to stun UEFA Champions League participants Borussia Mönchengladbach last week. Maximilian Philipp was the hero with a spectacular brace of goals in the 3-1 victory. After a one-year hiatus in Bundesliga 2, the club from the Black Forest have remained true to their footballing principles and emphasis on youth and come into this one unbeaten against Köln since 2011.